What are you so proud of? What are the things that you look back and you say, "Gosh on January 1st, this didn't exist and now look at it!" Let's start thinking forward a little bit. What challenges do you face in pursuing those goals? What's working well for you with that? What isn't working so well? How will your life be affected if you reach that goal? What are the things that get in your way? And are you playing a role in those? Some of us spend a lot of time thinking about things. I'm certainly prone to that, but not you. You take action, right? You are the kind of person who just dives in. No? If you're someone who would really like to have a safe place to practice some of these actions, to be more comfortable with exploring behavior in a safe environment before you try things out in the real world, I have something special that you might really like. I'm ​introducing UNLEASHED Resilience Groups. We are going to have a bunch of them in 2019, and these groups are about inspiring you to take action and live the life you want to lead. ​Reaching out. When you are at the end of your rope, do you pick up the phone and call a friend, or just put on your jammies, grab some cookies, and turn on Netflix? ​You know connecting with a friend ​will make you feel better than a night on the couch. But in the short term, sometimes it feels easier to reach for the remote than the phone. Why is that? Feel like it would take more energy than you have to make a meaningful connection? ​Worry that it's not fair to dump your ​baggage on them? ​Contact the special people in your life far less frequently than you think of them? 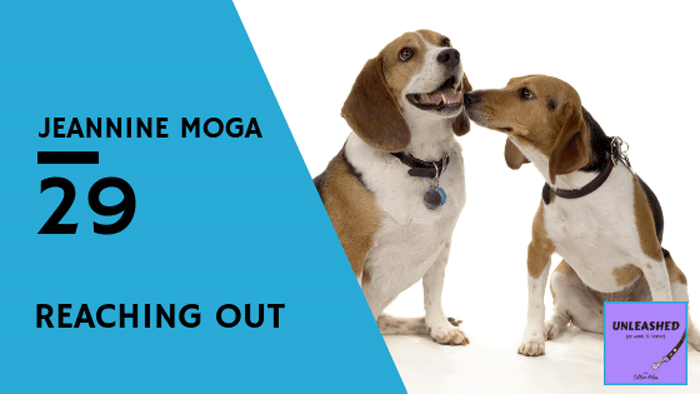 Jeannine Moga is a veterinary social worker​. I invited her to talk with me about the benefits and challenges of reaching out. ​You encounter so many heart-wrenching situations with the animals you care for (and their people). It's difficult, draining work, and it can be tempting to try to build walls around your heart in an attempt to protect yourself. These are the go-to people you can call when you are having a terrible, rotten, very bad day. ​Your witnesses won't minimize your pain or your problems. They won't judge your feelings or your decisions. And they won't try to fix things or point out the bright side for you. If you don't have them now, you need to start looking for them. Everybody needs someone in their corner. ​​​The people you work with are built-in networks, so they can be a good place to start. ​Even if you don't become close friends with your co-workers, it's worth investing some time and energy into building positive connections. ​Finding moments of humor and joy throughout the day can have enormous benefits for your wellbeing. ​Self-compassion ​is widely misunderstood and yet it's one of the best tools you have for developing resilience. Self-compassion, quite simply, is treating yourself as your best friend would when times are tough. When your best friend is struggling, you don't ​beat up them for making a simple, human error. Instead you say--and sincerely believe--things like, "Accidents happen," "Everyone makes mistakes," and "It's going to be okay." ​​​Do you find it difficult ​to extend that same grace to yourself? Many people do. 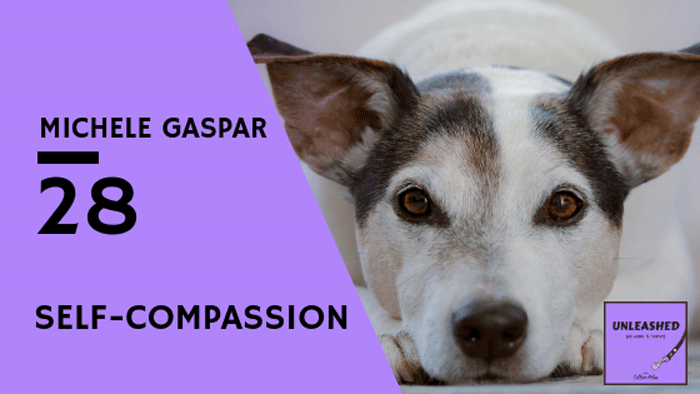 Michele Gaspar joined me to talk about self-compassion and how learning to be comfortable with discomfort can help us grow. Michele talked about how common perfectionism is among veterinarians and other animal-care professionals. Perfectionism often has its roots in childhood. Where you praised for being a "good girl or boy" or were you given the message that you were somehow defective and didn't measure up? Those messages can make us feel insecure, as though our worthiness is something that must continually be earned. And so we develop a fierce inner critic that guards against any slip-ups for fear that we'll be rejected. And that would be awesome​--if it worked. Instead, that inner critic often gets nasty and needy. Your brain gets flooded with constant judgments that point out the many, many ways in which you are less than perfect. And that leads to depression, anxiety, imposter syndrome, and exhaustion. ​It makes you hypervigilant and even more prone to making errors. When you are pursuing a goal that can never be reached, it gets harder and harder to keep going. And every time you stumble, you give that ugly little voice inside your head more ammunition to shout about. Self-compassion flips this script around. It hears that negative self-talk and gives you the tools to refute it, to acknowledge your strengths and your weaknesses without asking you to reach some unachievable standard of perfection. ​Visit Michele Gaspar's VIN listing​. 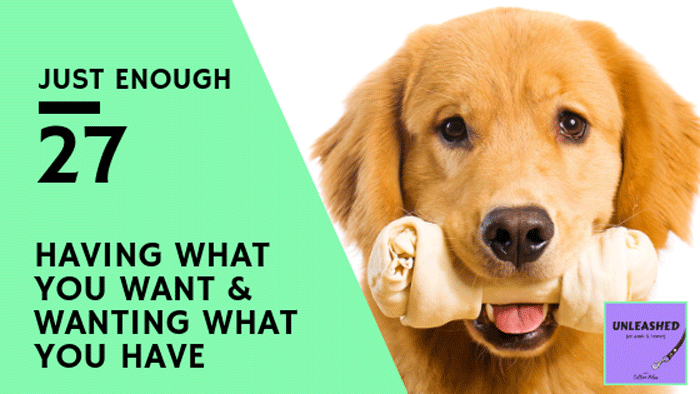 ​How do you know when you have enough? What does that look like? What does it mean? ​So often in life, it feels like the goal posts keep moving. ​Just when you get close to getting what you've wanted, suddenly it ​no longer seems quite right. It's not big enough, grand enough, challenging enough, important enough. It's just plain not enough. ​Sure, maybe more would be better, but less would certainly be worse. There's incredible freedom in recognizing, savoring, even celebrating having just enough. No one does that better than Mary Margaret Callahan. She is the chief mission officer at Pet Partners, an international organization that registers therapy animals and their partners, and she's also tons of fun. ​What does it mean to be a bold learner? That's a phrase Dr. Susan Friedman uses often in her lectures, and it resonated with me. ​As children, many of us (me!) absorbed the message that being wrong was bad, that mistakes would be penalized, and that revealing ignorance was cause for shame. But there's another way to teach, a way that embraces mistakes as honest attempts to learn and understand, that encourages curiosity as a route to discovery, and rewards participation to stimulate personal growth. I hope you'll listen in on this great conversation. We explored the freeing aspects of getting away from the labels we ascribe to behavior (e.g., stubborn, dominant, stupid, selfish, clingy). Labels and stories can help or hurt behavior. ​Each of us is the result of our personal learning history. ​By being aware of ways it has helped us and ways it has held us back, we can become bold learners in our own right. ​Do you think about how you think? Do you employ critical thinking techniques to examine your biases and beliefs? Do you consciously and deliberately explore all the options, perspectives, and consequences of your decisions? More than 40% of our daily activities are based on habit and pattern. But what about the other 60%? Even there, we're likely to make snap judgments without applying much critical thought. And, no, not every decision needs to be turned inside out and upside down before you take action, but understanding the elements of critical thinking can help you make better decisions and make process of deciding less stressful. That's a worthy goal! So I asked Ginny Price, MS, CVT, VTS (Behavior), to talk to me about critical thinking. 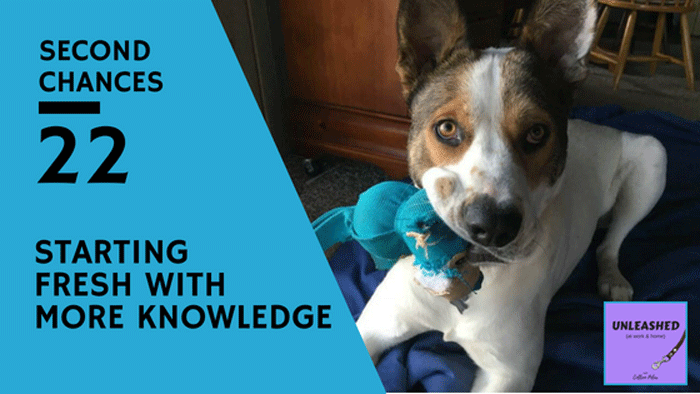 Ginny teaches in St. Petersburg College's Veterinary Technology Program and includes the critical thinking exercises in all of our courses. ​Ginny is definitely a critical thinker. I suspected that I am not and confessed to that right away. But over the course of our conversation, I came to see that we all use critical thinking in some facets of our lives. The ​real benefit to become more intentional about it, to apply it more broadly, more consistently. And to do that, you've got to monitor your thinking. Monitoring your thoughts and choosing how to respond to them is a topic that comes up over and over on UNLEASHED (at work & home). It's one of those simple, but not easy strategies for improving our lives. Awareness is the first step, and followed by deliberate practice ​of analyzing options and choosing ​how to respond. ​Sounds exhausting, right? In actuality, critical thinking will help ease your stress. 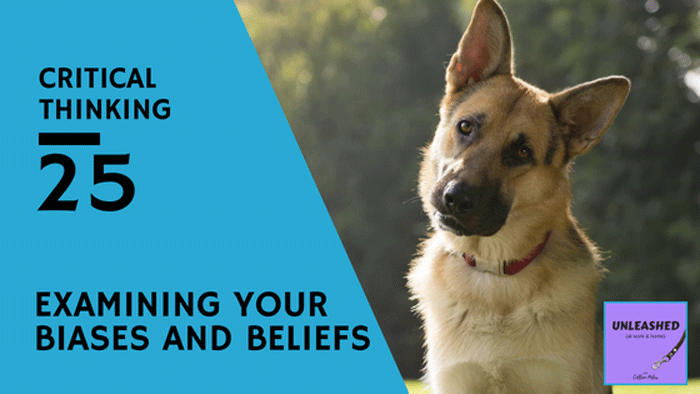 It will show you how your biases and beliefs affect your behavior, which in itself is an eye-opening experience. Many of our assumptions are based on social constructs that we aren't consciously aware of. Ready to try some critical thinking? Here's a starter exercise Ginny suggests. Pick a topic (e.g., why is it common to train our dogs and not our cats?) and write down all the assumptions you can think of about it. Ask other people to do the same. ​Read over your lists. Where's the overlap? Did you find any biases that may not be true? Things that are worth examining further? I bet you will. ​R2 Fish School Come on, you know you want to see fish do agility! MythBusters Oxygen Tank Rocket And now, ​wouldn't you like to know whether an oxygen tank can break through a concrete wall? On Being: The Mind is a Difference-Seeking Machine Mahzarin Banaji's interview about implicit bias and blindspots made me aware of several biases I didn't realize I hold. ​Our pasts form our present in many ways, some overt and others so subtle that we don't even make the connection. Adverse childhood experiences, or ACEs, are traumatic events likely to have long-lasting impact on our adult lives. In 1995, the Centers for Disease Control teamed up with Kaiser Permanente for one of the largest studies how childhood trauma and later-life health and wellbeing. More than 17,000 people participated in the initial study. Samantha Clarke, MPA, LCSW, is the clinical director of Doorways for Women and Families, which provides services for people affected by homelessness, domestic violence, and sexual assualt. 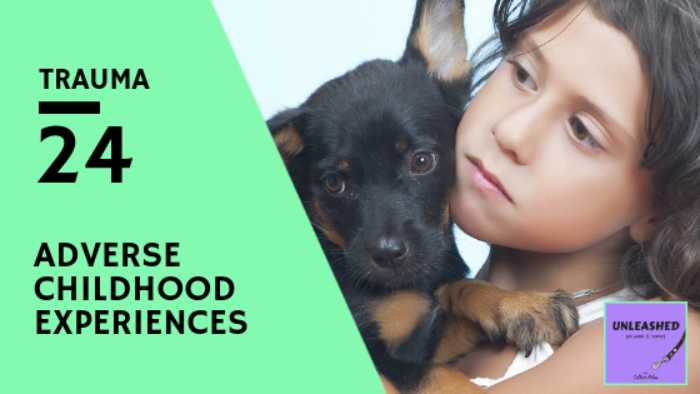 ​I asked Sam to talk with me about ACE scores and how childhood trauma may be related to the desire to pursue a career working with animals. Last year, I read Nadine Burke Harris's book, The Deepest Well: Healing the Long-Term Effects of Childhood Adversity, and it sparked many thoughts for me. I was delighted to be able to explore them with Sam. ​An ACE score is based on answers to 10 questions. Forty percent of people have an ACE score of 2 or more, 20% have a score of 3 or more, and 12% have a score of 4 or more. ​On the surface, it doesn't sound right that a person with an ACE score of 4 or more is 260% more likely to have chronic obstructive pulmonary disease (COPD). What does one thing have to do with the other? But during traumatic periods, our bodies ​are flooded with stress hormones, which promote survival in the moment, but also cause inflammation and disease over time. ​We can't rewrite history. I asked Sam what a person should do to mitigate these negative effects and move forward. She said there's a huge value to acknowledging and "owning" your history. This can change the conversation from "What's wrong with you?" to "What happened to you?" It's vital to form connections, to develop a support system that affirms your worth, supports your growth, and helps you know that you are not alone. For many people, animals can provide "sanctuary relationships," where the person feels safe from expectations, judgment, or physical harm. In many cases, people often become impassioned protectors of animals because they know how it feels not to have someone who takes care of them. They can fill the role for animals that abusive or neglectful parents did not fill for them. ​Wondering about your ACE score? The questions are below. Was your mother or stepmother often or very often pushed, grabbed, slapped, or had something thrown at her? or Sometimes, often, or very often kicked, bitten, hit with a fist, or hit with something hard? or Ever repeatedly hit over at least a few minutes or threatened with a gun or knife? Now add up your “Yes” answers: ​______ This is your ACE score. Ask, "Is there anything I can do to help?" ​Be careful not to sound accusatory. This can be tricky. When we're stressed, we often misinterpret other people's attempts to be supportive as judgments. ​We talk a lot about the negative effects of stress, burnout, and compassion fatigue on UNLEASHED (at work & home). On this week's episode, Kellie Snider, MS, BCABA, shares her experience​ with compassion fatigue while working for 10 years at a high-volume shelter in Texas. She ​likened the emotional and physical effects to "wearing a lead raincoat." 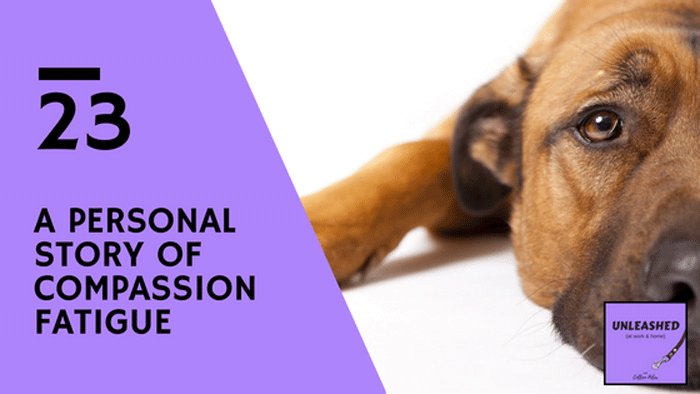 ​As happens to so many animal-care professionals, Kellie found the symptoms built up over time, so subtly that she wasn't always aware of their effects. ​Her friends and family could see changes that she hadn't noticed. ​Why not give me a call? 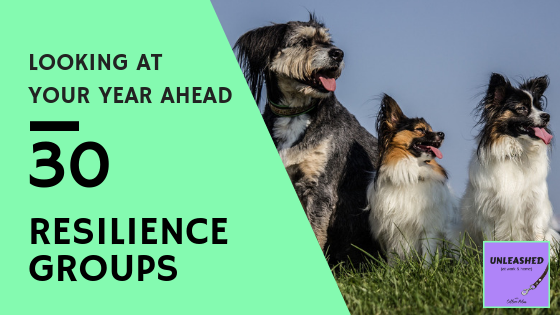 In your free, 20-minute session, we'll explore ways to boost your resilience to the effects of challenging, emotionally difficult work. ​It's time to take care of yourself. Eventually Kellie ​needed to leave her position at the shelter and take several months off to ​rest and rejuvenate. One thing Kellie found especially helpful to her recovery was spending time creating art. She's quite talented. You can see more of her work at www.paintedcatstudio.com. Also be sure to check out www.behaviorunlimited.com for her blog and information about her book, Turning Fierce Dogs Friendly. ​Second chances. Sooner or later, we all need a second chance and find ourselves hoping that other people will be gracious enough to allow us one. ​Kim Imel, CPDT-KA, and Carol Byrnes, CPDT, are the lead dog trainers in the Pawsitive Dog prison training program at Airway Heights Corrections Center in Washington. Kim shared stories of grace, redemption, and personal growth that ​came from giving men in prison the opportunity to learn new strategies for changing behavior. 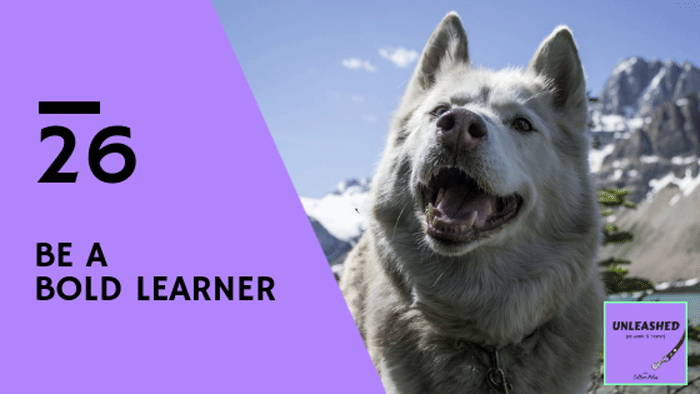 These lessons applied not just to their canine students, but to their own lives, how they interacted with each other, with their families, and even how they treated themselves. ​Are you in need of a second chance? Do you know someone who is? Granting a second chance doesn't mean being a doormat. You can and should establish boundaries with anyone to whom you're granting a bit of grace. At the same time, ​if you let go of your preconceived notions, you may find yourself in the presence of a miracle. 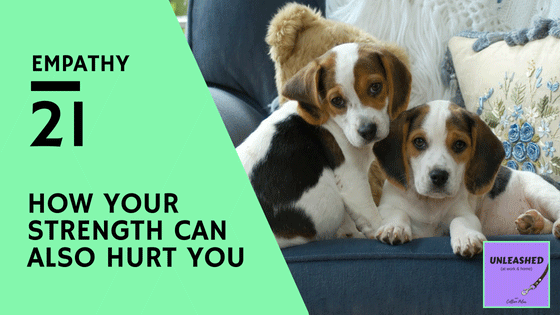 ​Have you ever been told to toughen up? To suppress your feelings? To stop being such a baby about things? ​Empathetic people are often accused of feeling things too deeply and made to feel that there's something wrong with their level of compassion and concern. Sometimes we internalize that message and beat ourselves up for the depth of our feelings. We tell ourselves that we should be able to ​compartmentalize, just put the hardest parts of the job into lockbox and hide it away. But the best way for us to deal with the challenges of our jobs is share how we're feeling, not hide it! We are wired to connect. We can't lock our hearts away to protect them. ​Doing so ​​diminishes our positive emotions every bit as much as the negative ones until we simply become numb--and that's no way to live. Who can you talk to when you are feeling stressed? Who will listen without judgment and help you move forward? What is ​one great thing that happened at work this week? What could you do to make it happen again? What do you feel is missing in your life right now? What's one thing you could do to move toward it?